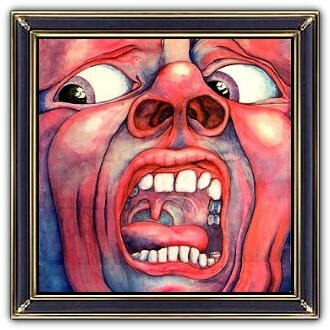 King Crimson - In the Court of..
Barry Godber (1946–1970), a computer programmer, painted the album cover. Godber died in February 1970 of a heart attack, shortly after the album's release. 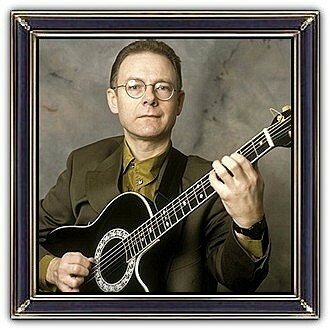 It would be his only painting, and is now owned by Robert Fripp. The face on the front/back is the Schizoid Man and must be seen as one piece of art. The art on the inside is the Crimson King. If you cover this smiling face, the eyes reveal an incredible sadness. What can one add? It reflects the music! King Crimson are an English rock band formed in London in 1968. The band has undergone numerous formations throughout its history of which 21 musicians have been members; since 2016 it has consisted of Robert Fripp, Jakko Jakszyk, Tony Levin, Mel Collins, Pat Mastelotto, Gavin Harrison and Jeremy Stacey. Fripp is the only consistent member of the group, and is considered the band's leader and driving force. The band has earned a large cult following with its standard of instrumentation and complex song structures. King Crimson's debut album, In the Court of the Crimson King (1969), remains its most successful and influential, with its elements of jazz, classical, and experimental music.